Sharing some of my favorite outfits I shared on instagram as of late! The cutest fringe sweater and bib necklace. 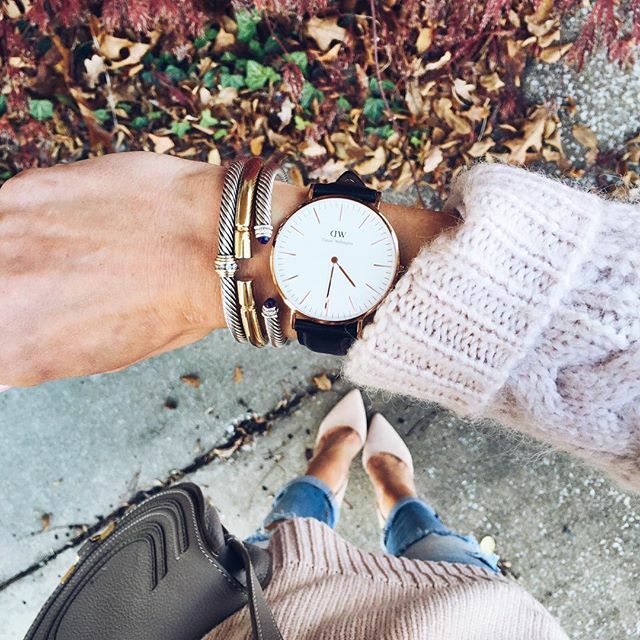 A timeless watch, I love the clean look of it. Sneakers and long trench have been my go to, lately. The perfect white tunic blouse and under $50-comes in 4 other colors, I have it in 3! 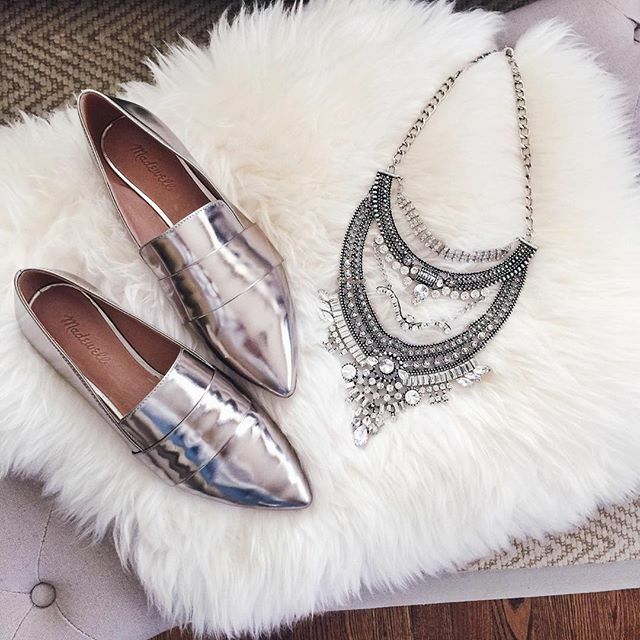 Lace-up flats sell out so quick, I found an identical pair in all sizes. Soft, cozy scarf that doubles as a cape! 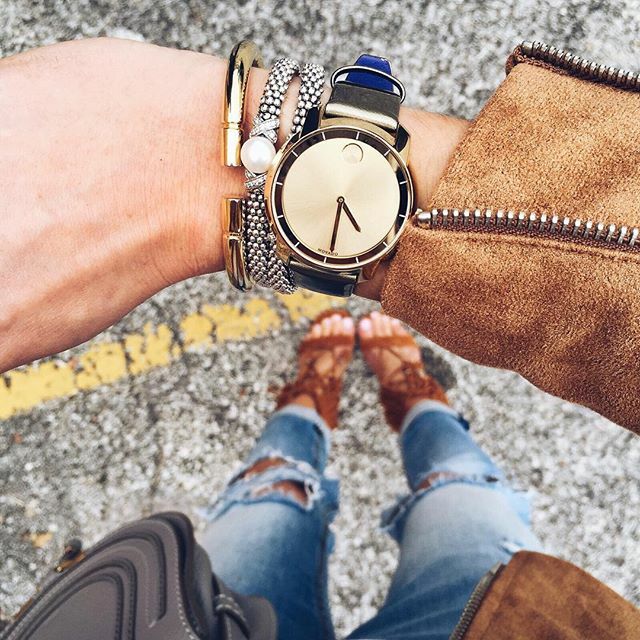 Pretty gold Movado, a perfect gift for you and someone you love! 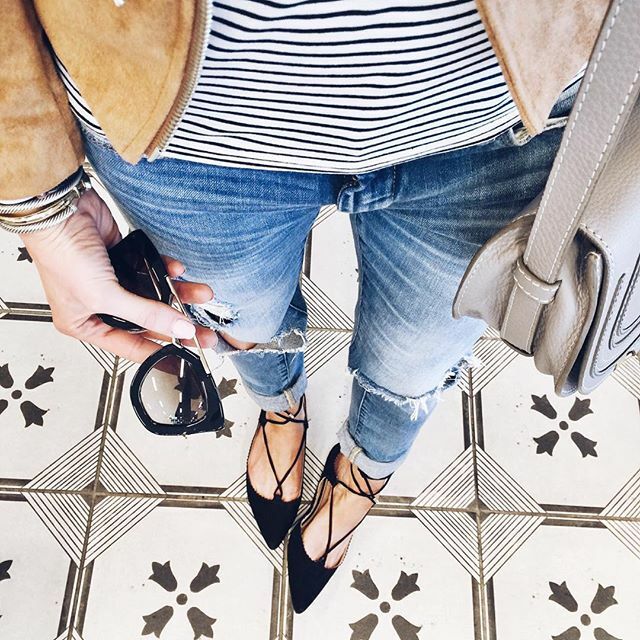 New ripped jeans… in love! The detail on these sleeves is so cute and unique.